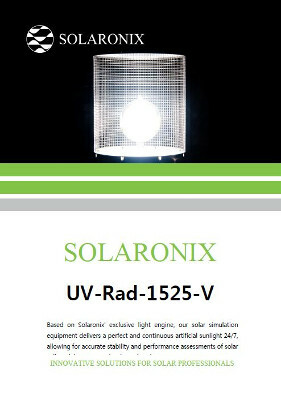 UV-Rad-1525 series is e complete environement UV Preconditionning test, the execellence of our ageing equipment under UV light combined with a userfriendly professional electronic load. The electronic load is piloted through an IV Tracer software that offer a complete turnkey solution for the most exigent user. Many of our realizations are built upon customers' requirements. The mechanical design of our systems allows us to build units of any size, either custom UV-Rad (UV ageing equipment). 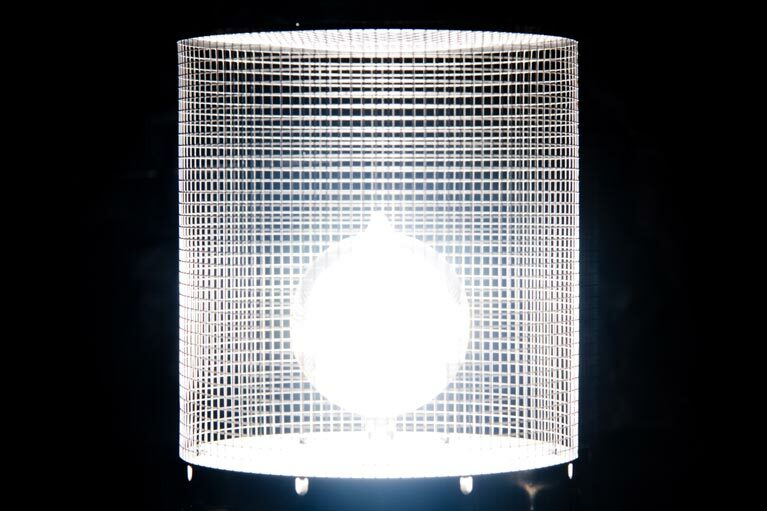 Our large area UV-Rad equipment consists of arrays of Lumixo light engines. The complete machines are then built for the targeted illuminated area specified by the customer. Thanks to the benefit of our Lumixo light engine, our light soakers and solar simulators are providing continuous and stable illumination. Our basic systems typically meet the requirement for most testing standards. The active area can be up to 4 x 4 m without additional charge of engineering. Upper size of active area is available, but require additional anlysis. 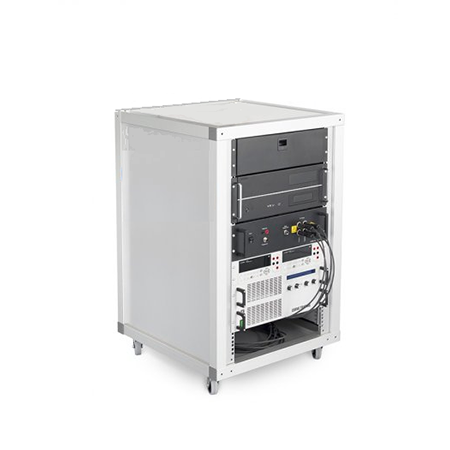 The UV-Rad units are designed for UV precondioning test. They rely on thorough thermal engineering to maintain the samples at 60°C ±5°C to meet the standard testing conditions required by IEC 61215-2:2015 and IEC 61646:2008 norms. These equipments are designed to provide accelerated test under UV light. This UV-Rad-1525 unit was designed to realize solar simulation on a 250 x 150 cm area. The system relies on 20 Lumixo light engines to obtain UV spectrum, uniformity (±1%), and stability (STI<0.5% and LTI<2%). 125 to 200 W/m2 in the wavelength range 280nm and 385nm. Total UV irradiation of 15kWh/m2, with at least 7.5 kWh/m2 in the wavelength band between 280nm and 320nm according IEC 61215-2:2015 and IEC 61646:2008. The system is equiped with a UV light sensor for the wavelength band 280-320nm and the band 320-385nm. The system shutdown automatically the UV light sources to prevent any damage if a door is open during operation. The computer, the UV-Rad, the electronic load and the I-V Measurement software is configured in our factory to ensure easy and fast installation on site. 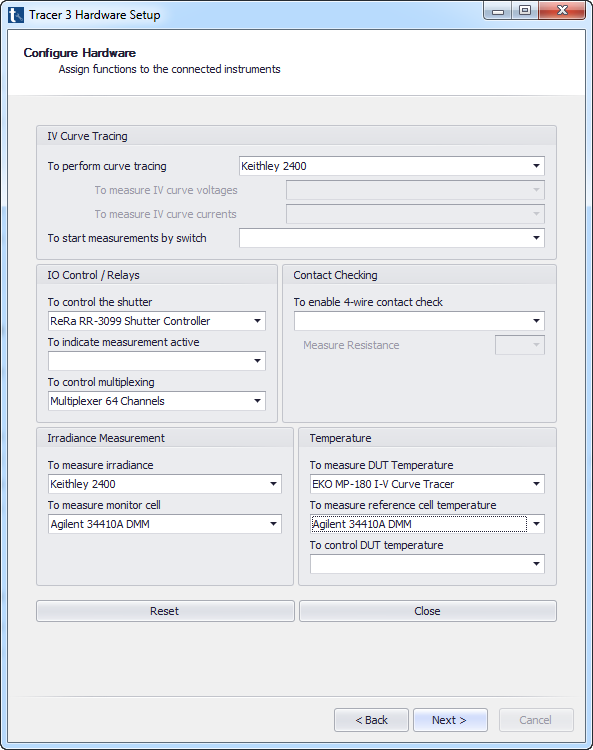 Multiplexing of measurement can be made, this option add up to 60 two wires channels or 30 fours wires channels. 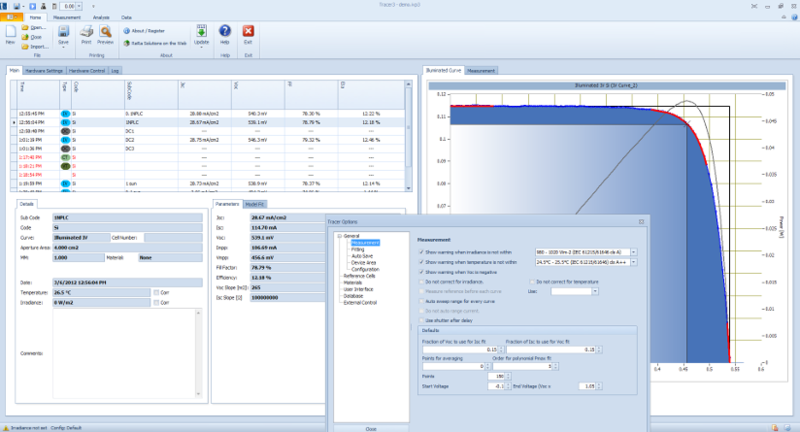 The multiplexer is piloted across the I-V Tracer software for automatich measurements. Preset configurations are available to ensure fast setting-up of the system..
2 x UVB sensors (range 280 - 320 nm and 320 - 385 nm) are included with UV-Rad series.